Come to the studio to create a cute last minute gift! 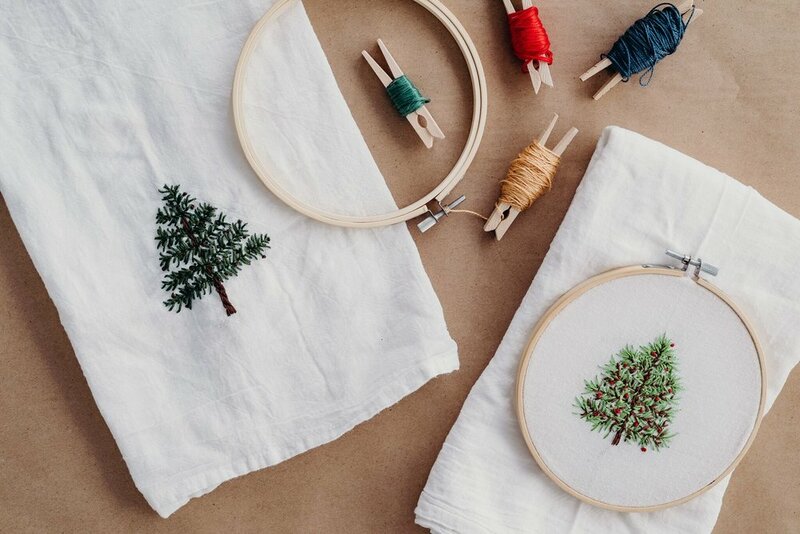 In this 2-hour workshop, you will learn 3 basic stitches for embroidering the perfect set of tea towels. Great for beginners and all materials included. BYOB! Please enroll by 12/14 to ensure your spot in the workshop!